In John, the latest play from Pulitzer Prize–winning playwright Annie Baker, there is a lot of thinking and watching. Twentysomethings Jenny and Elias arrive late at night to a bed-and-breakfast in Gettysburg. Already tense and tired, they are greeted by the eccentric proprietor Mertis. Over the next 48 hours, the characters argue, discuss philosophy, and attempt to communicate with each other. As A.C.T. gears up to celebrate its 50th birthday, we are taking a trip down memory lane. For Subscription Manager Mark Peters, that’s 30 years of stories and subscription order forms, productions and puzzles. What was the first show you saw at A.C.T.? The first A.C.T. production I saw was actually while I was in college. In class, we watched tapes of Cyrano de Bergerac (1972). The first show I saw at The Geary was King Lear in 1987. It was the first season after Artistic Director Bill Ball had left. 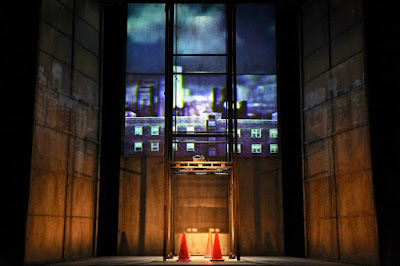 Morris Panych's 7 Stories at A.C.T. On the seventh-story ledge of an apartment building, a man stands. He pauses, ready to jump, but is suddenly interrupted by a string of neighbors and partygoers—a pair of murderous lovers, a suspicious shrink, and an ex-actor with a false mustache and 150 million reasons for marriage. 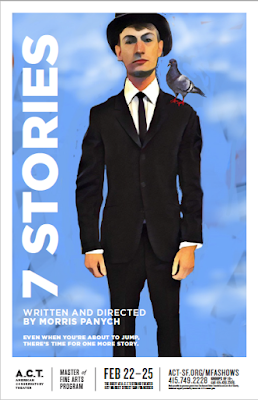 In 7 Stories,Canadian writer and director Morris Panych weaves together multiple narratives involving gunshots, cocktails, nurses, God, and one particular umbrella to create a sharp and unpredictable dark comedy. Morris Panych is a prolific theater artist who has written more than 30 plays and directed 90 across Canada. He is the recipient of more than 50 awards for his work. He last collaborated with A.C.T. in 2009 when he directed his play Vigil. And before that, he staged his and Wendy Gorling's 2005 adaptation of The Overcoat, based on the nineteenth-century short story by Nikolai Gogol. 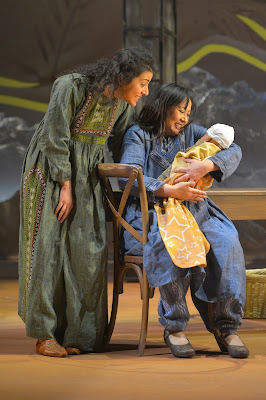 Mariam, Laila, and Rasheed—the characters at the center of A Thousand Splendid Suns, running through February 26 at The Geary Theater—may have begun in the mind of author Khaled Hosseini and playwright Ursula Rani Sarma, but their personalities are rooted firmly in their native Afghanistan. Approximately the size of Texas, Afghanistan is a land of extreme beauty and extreme geographic diversity, ranging from towering mountains to expansive plains to barren deserts. Winters there are harsh, and summers sweltering. In this dramatic landscape live 32.5 million Afghans, a mixture of religions, languages, and ethnicities. In 1979, the Soviet Union sent troops into Afghanistan to prop up a failing socialist government, but they were ill-prepared for the ferocious response of the Afghan people. When the Soviet troops withdrew in 1989, Afghans were hopeful that life would return to normal. Ah, young love! This Valentine’s Day, A.C.T. brings you productions that explore both sides of love: the bliss and the madness. In the world-premiere adaptation of Khaled Hosseini’s novel A Thousand Splendid Suns, running through February 26 at The Geary Theater, childhood sweethearts Laila and Tariq are torn apart by the violence of the Afghan Civil War. Is their friendship and love enough to keep them safe during these turbulent years and bring them together again? "John is like going over to a stranger's house and sitting in their living room talking for three hours," says director Ken Rus Schmoll. At the first rehearsal for John at The Strand Theater, Schmoll introduced the play to a rapt audience of A.C.T. trustees, executive producers, staff, and students. "You listen to the other person's story and wonder about his or her secrets. Maybe you ask a few questions, and receive a few answers, but you ultimately leave with both more understanding and less." 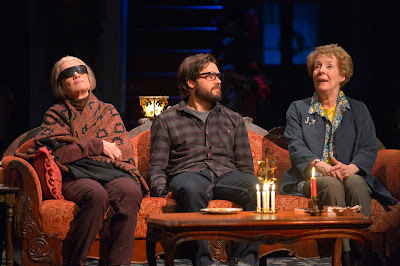 John, written by Pulitzer Prize–winning playwright Annie Baker and starring Georgia Engel (The Mary Tyler Moore Show), begins with the arrival of twentysomethings Jenny and Elias at a bed-and-breakfast in Gettysburg, Pennsylvania. But in this old house filled with shelves of smiling dolls and tchotchkes, the cracks in their relationship begin to surface. During A.C.T.’s 50th-anniversary season, strong women are navigating their way through traditionally male-oriented spaces. 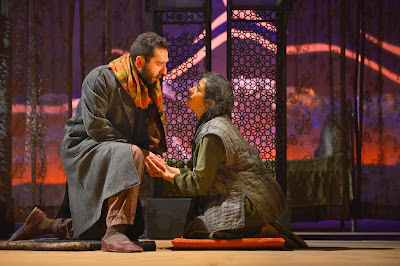 In A Thousand Splendid Suns, running through February 26 at The Geary Theater, Mariam and Laila must fight to hold onto their hopes and dreams in a world where violence and religious fundamentalism conspire to dash them. These two strong women are thrown together by the tragedy of war. Laila’s parents have been killed in a bombing, and Rasheed—Mariam’s husband—has pulled her from the rubble into their home. Although Mariam is initially suspicious of this newcomer, the two women rally together to take care of a child. If you remember the didgeridoo, the ukulele, or the banjo playing from The Black Rider: Casting of the Magic Bullets at A.C.T. in 2004, you have heard the work of David Coulter. 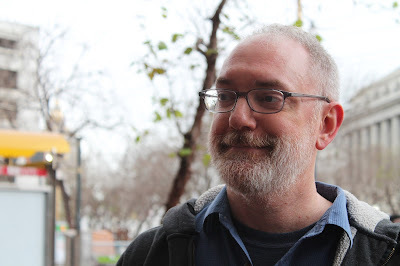 This British-born, Oakland-based musician specializes in unusual instruments whose sound is rarely heard by contemporary audiences—among his specialties are the jaw harp, the theremin, and the musical saw. 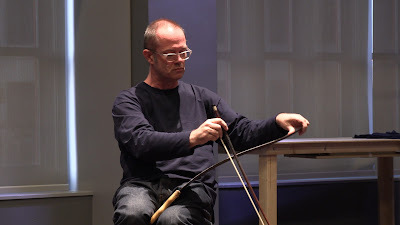 During workshops for A Thousand Splendid Suns, we spoke with Coulter to learn more about sound art, saws, and the score for Suns. What is it about the sound of the saw that attracts you? When played well it is capable of indescribable beauty. It contains passion and tenderness. The opposite extremes are also possible: it can be used to create horrific and excruciatingly ugly sounds. For a carpenter’s hand tool, it is capable of producing a vast and wide array of sonic possibilities. What kind of saw do you use, a woodcutting one or a musical one? 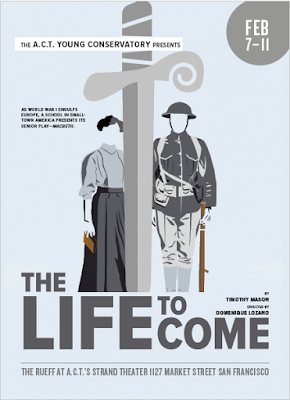 Set in 1918, Timothy Mason's The Life to Come tells the story of eight young students in a small Minnesota town who are preparing for a school production of Macbeth. As the students explore Shakespeare's dark and violent tragedy, they watch their world crumble and contemplate what the future holds for them in this time of war. Today, the actors in our production face a similar situation to those students in 1918. They are watching the world around them grapple with war, hate, racism, and the fear of the unknown, and while they do not have much power to change it, they are stuck with the consequences of the decisions made by the generations before them.